Today marks the one year anniversary of my little brothers death.. We lost him to a tragic work place accident last year. His wife was kind enough to send me some of this shirts. So I made a quilt for my aunt. 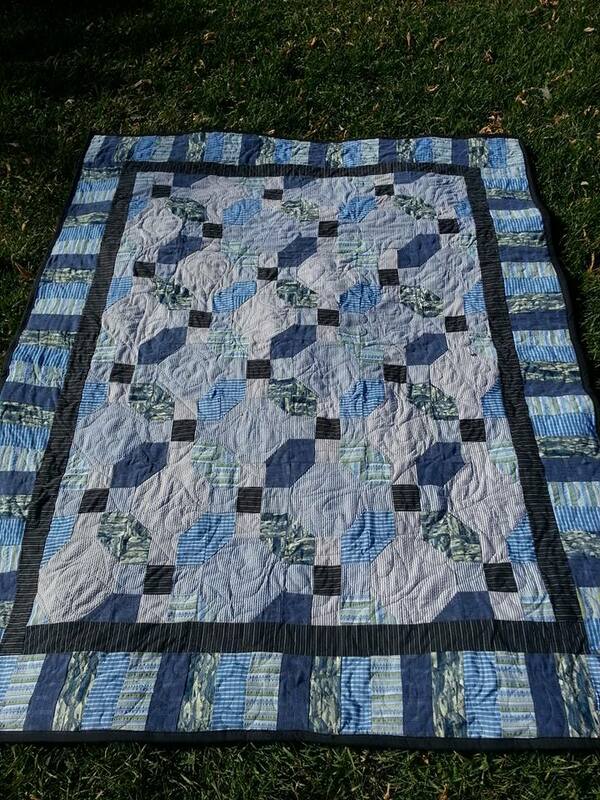 The quilt front is made from 9 patch squares and Snowball blocks with a piano key border. The back is made from all his t-shirts. This is the label that the quilt will have. I hope that this quilt will be cherished as it hugs my aunt when she uses it. Previous Christmas Mittens wall hanging.